Please any one tell me what is the 3g speed in this device and is it takes even average quality pictures in day light or not?please replay any one please. What is the max speed on 3G..? Hi guys,is it i or u experienced it also that flash is very bad.it's almost of no use,no clarity at all with flash or without flash ? Karthick, 08 Jan 2014I'm using this phone for a month. I used games like Temple Run 2, Subway Surfers, and HD Games... morecan anyone please inform me about the battery life of the phone? This is duplicate vers. of Karbornn A90, no change in specs. harshal, 06 Jan 2014sir i want to buy this one. i want to know that it support .avi & .mp4 file &&&... moreAll android phones supports almost all video format when using MX player.It camera is good in day light but bad in night because the flash is not powerful. harshal, 06 Jan 2014sir i want to buy this one. i want to know that it support .avi & .mp4 file &&&... moreI'm using this phone for a month. I used games like Temple Run 2, Subway Surfers, and HD Games as well. This phone is doing good. Display is too good. it can play 1080p MP4 video very smoothly. 1. Such a wonderful phone for 5k. 2. It can run heavy apps like the 20K phone. 1. Camera during day time is capturing good pictures but in the night, the picture clarity is not up to the mark. 2. When you put 3G and GSM Sims together, it takes time to detect both sims. may be 30 mins. With single sim, it is working fine. Such a great phone for just 5k. Do not just look at the camera. But over all it is a nice phone and easily comparable with high end phone. 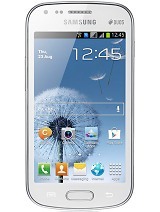 Viewing the price it is best among the budget android phone . built quality of screen was not up to the mark but feature and performance is excelllent. 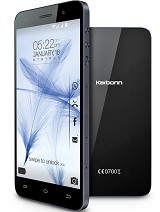 KARBONN after sale service is good in mumbai..not as bad of xolo.